Brilliant last Clout of the season for The Longbow Club at Bowbrook Archers for the Shropshire Clout Championships. A bit chilly but dry and the sun shone most of the day and the breeze wasn’t too strong. Great company and a lot of laughs as usual. Delicious soup and cakes too! The Lord Patron was Patrick Huston who was also shooting his first Clout. 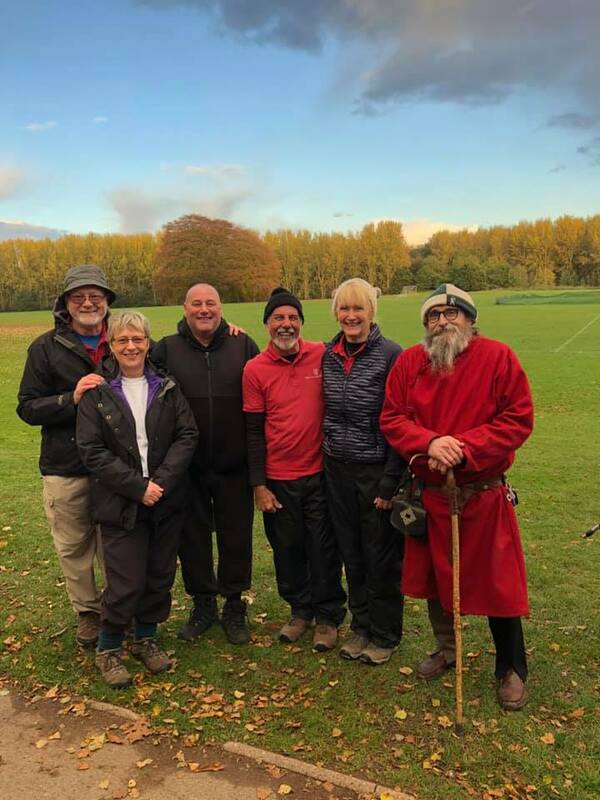 There were 6 Members from The Longbow Club: Alison Williams, Steve Williams, Katrina Horton, Chris Eccles, Phil Wain and Lord Ian Stowell. In the Open Competition Katrina was 1st Lady Longbow and Alison was 2nd; Steve was 1st Gent Longbow, Chris was 2nd and Ian was 3rd. Katrina also won the Best Clout with wooden arrows. Alison beat her Personal Best by 20 points and was just 5 points off an MB score. Katrina was 6 points shy of her GMB – a nice way to finish the season.